A simple and obvious question. A question that can make a person stand out on a sub-arctic shelf staring up into the constellations with the wondering eyes of ancients searching for answers. While waiting for that passage of time to close on the pending cultural judgement of Cretaceous I’ve found myself in position to work on several projects. Projects that allow an artist to pursue the continual quest to grow and learn and refine one’s skills in storytelling all while awaiting the approach of what’s next in the future of Cretaceous. 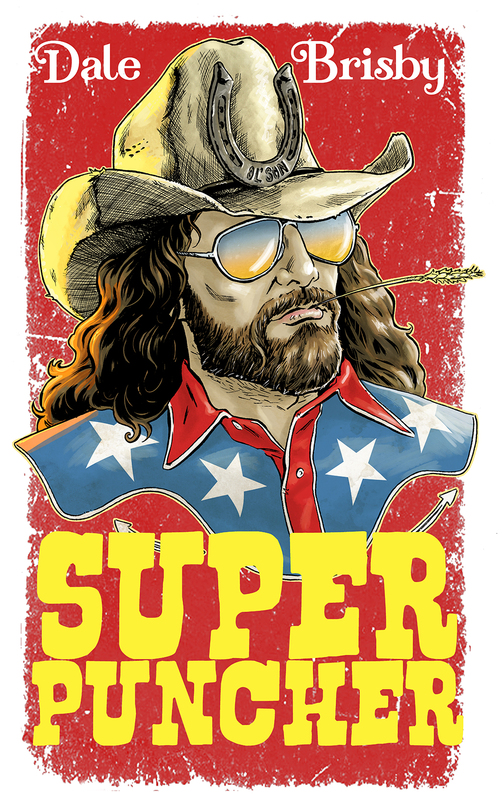 Teaming with Western Horseman Magazine and rodeo personality, Dale Brisby, we’re collaborating on a new monthly comic-strip, “Super Puncher.” Based on the comedic skits of Brisby, “Super Puncher” is a G rated gag strip about his dealings in being “the world’s greatest cowboy.” So saddle up, ol’ son, and subscribe to Western Horseman if you want some rip roaring cowboy fun for the whole fam! 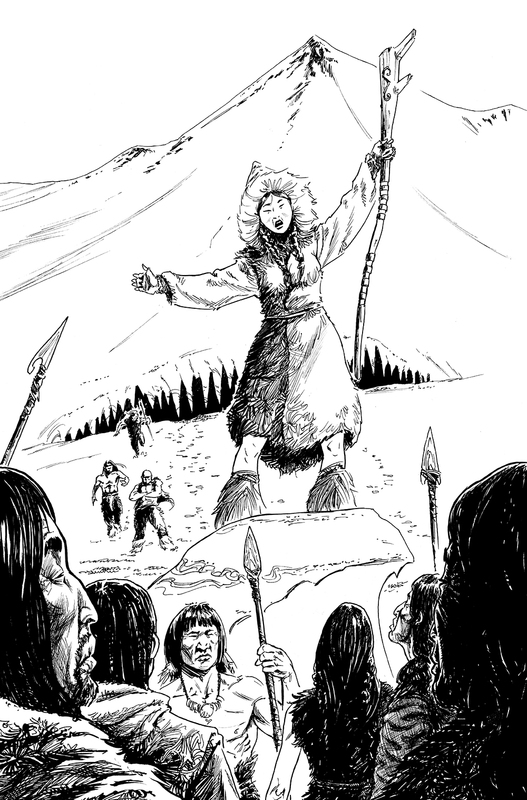 Over at Critical Entertainment, I’ve continued work with writer Chris Reda on the production of Chapter 2 of “The First Americans.” The second issue in the the paleo-American adventure graphic novel. 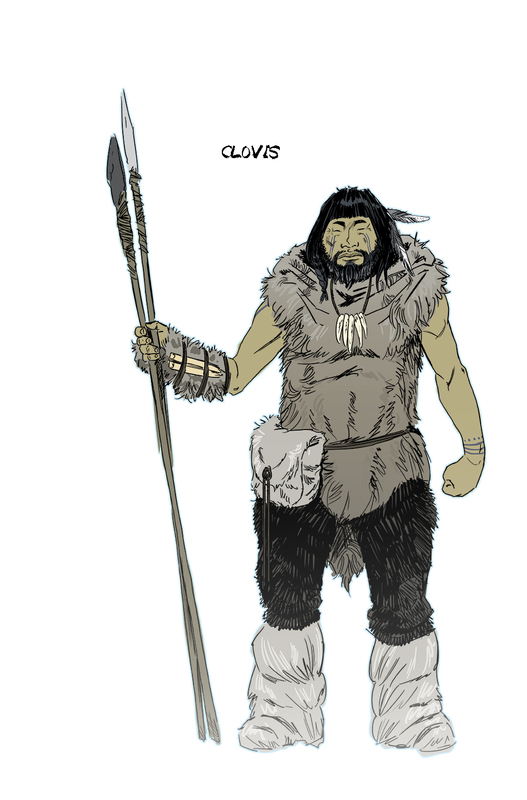 The story continues right where the first chapter left off, with Clovis and his pursuit of the migrating mammoth troupe. While Clovis ventures into a new world his people are, unbeknownst to him, tracking him. Led by a powerful young woman who shares in the same nomadic urge to explore the unknown. While working on two massively diverse stories (both in art and writing) , I’ve found that I needed an intermediary project to put me in the right head-space creatively. With the constant change of hats there was a need for something completely metaphysical. Something where I could take an existential stab into the construct of human existence. 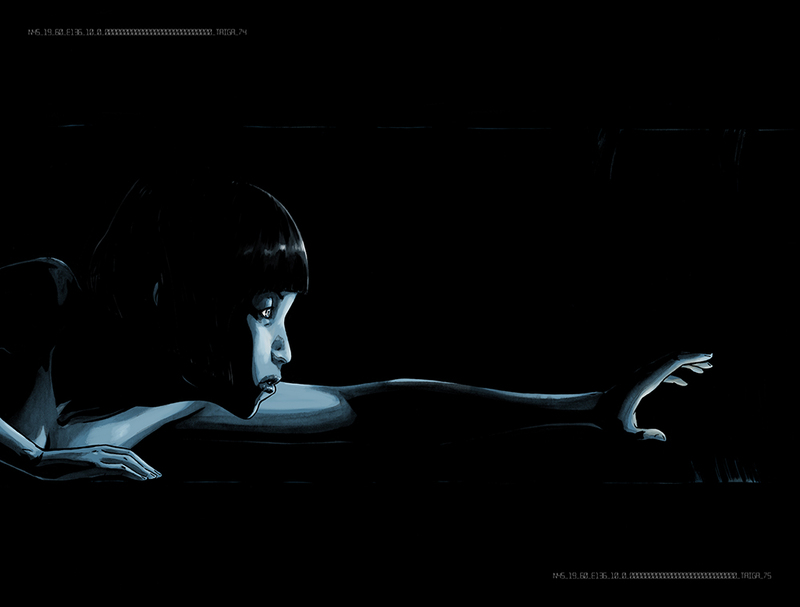 This new project, Taiga, will be released digitally and then print, upon completion. It currently has passed the halfway point of production is looking at an estimated end point of early summer. Dipping them toes into different pools. Thrusting of irons into ever burning coals…. And so on, and so forth. The head pounds with the maddening echos of stories, of work, that’s gotta get out, of tales that need telling. That need to escape and manifest their existence.